Often children can feel nervous when going to visit a dentist. This makes it difficult for them to relax during a dental procedure or treatment. As parents, we know you can feel frustrated trying to get your little ones to feel at ease. 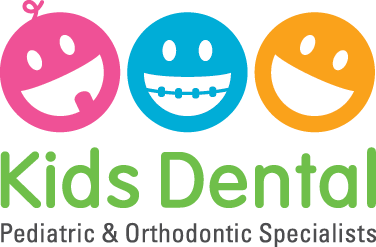 At Kids Dental Group we don’t want you or your child to feel afraid! That’s why we aim to provide a comforting environment for everyone. Our friendly and professional team is trained to work with children and educate them on the importance of dentistry. Often knowing and understanding can help settle fear. Our team can also distinguish when your child needs sedation to help with their dental treatment. We may prescribe a type of pediatric sedation dentistry for kids with anxiety and nervousness. Giving sedation to kids is helpful to accomplish the desired dental procedure or treatment. There are different types of pediatric sedation that a dentist can use in achieving a successful oral procedure. Mild Sedation: A single or a blend of medication can be used for older kids. Mild Sedation has a calming effect that helps them focus and cooperate in dental procedures. During treatment, they are generally awake, and after the procedure, they won’t be able to remember much about the dental treatment. Moderate Sedation: Moderate sedation medications make kids feel somewhat disoriented and sleepy. This type of sedative allows dentists to perform longer dental procedures. After treatment, children won’t be able to recall things during their dental visit. Deep Sedation: Medication used for deep sedation techniques make children fall asleep. Medications used for this type of sedative is administered through veins. Qualified Anesthesiologists monitor the overall status of the child while under this type of sedative. Use of Nitrous Oxide: Nitrous Oxide or generally known as “laughing gas” is a form of sedation that is used for children who are fearful and can’t relax during a procedure. It can also be used for patients with sensitive gag reflexes. The child obtains nitrous oxide orally. Conscious Sedation: Children who are anxious and can’t relax during dental appointments can be given conscious sedation. Medications that used for conscious sedation help relieve anxiety and uneasiness, which allows children to cooperate during their dental appointments and treatment. General Anesthesia: General Anesthesia is accomplished through inhalation or anaesthetic vapour. Children are asleep with no movement while under this type of sedation. (https://www.ncbi.nlm.nih.gov/pmc/articles/PMC4267298/) monitor children’s condition under general anaesthesia. Sedation Dentistry is an integral part of Pediatric Dentistry. Children need to feel relaxed and become comfortable during their dental treatment or operation to get better results. If you have any questions, you can contact one of our pediatric dental offices in Richmond Hill, Markham or Stouffville. You can talk to our pediatric dental team about your dental concerns for your children. We are here to help!